The most persistent house fly entered my world the same day my sister left it. But what I didn’t realize was that my sister hadn’t actually left. I read this article and found it very interesting, thought it might be something for you. The article is called My Sister, The Fly and is located at http://modernloss.com/my-sister-the-fly/. A fly entered my world the same day my sister left it. But what I didn’t realize was that my sister hadn’t actually left because she was the fly. 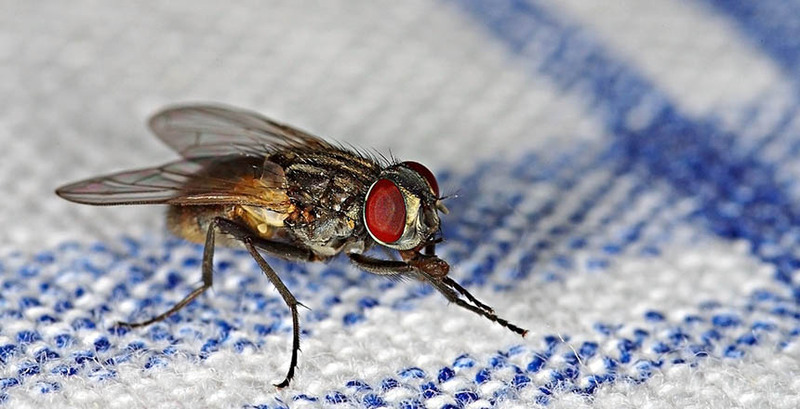 Initially, I assumed this fly was just like any other. I was annoyed by it, but presumed it would be gone within 24 hours, since I had once heard that flies typically don’t last indoors for more than a day. Yet, every morning for the better part of a month, I woke up to the fly buzzing above my head or in front of my face. I tried to shoo it out the window or door, but each time it would defy me and fly in the opposite direction. I remember after the first week thinking that it was so odd for a fly to still be hovering around. I wondered if there was a hole in one of the window screens, and whether a different fly came in each day. But the fly’s behavior was so consistent I was sure it was the same one. Every day it would follow me: if I walked from the living room to the bedroom, there was the fly. If I moved from the dining room to the kitchen, there was the fly. I went to my weekly reiki session, something I started experimenting with after my sister, Emma, recommended it. Emma saw Sharon the reiki master for the five years she battled cancer and believed it contributed to her living four years and six months longer than the doctors predicted. Because Sharon built a close bond to Emma during her treatment, she said my sister would come through during our sessions. I told her that other family members had vivid dreams with her and could feel her presence — but I couldn’t. Sharon said it was because I hadn’t accepted Emma’s death and those family members had. Then it hit me—Emma was the fly. At first I doubted it, but the more I became open to the possibility, the more she revealed herself to me and to others around me. Emma the fly especially liked to come with me into the bathroom. If I tried to slip in without her, underneath the door she went. Sometimes she flew around the shower, other times she sat patiently in the sink. It brought back memories of being a seven-year-old, when I could not take being apart from Emma. Every time she would lock herself in our childhood bathroom, I would lay on the floor and cry. “I’m going to the bathroom mamita!” Emma yelled. I wondered if maybe this was her way of getting back at me. At the time, I was living with my then-boyfriend. He was reluctant to believe my theory, until Emma insisted on being the plus one to his dinner date. He carried his hot bowl of chicken noodle soup to the coffee table and prepared to dig in, when Emma flew right to his food and pestered him to take notice. A face-to-fly conversation ensued. Emma dropped to the opposite side of the table and waited patiently until he was finished. From that moment on, he was a believer. Emma’s behavior remained consistent, unless her daughter Niki was visiting. Once Niki entered the room, Emma became noticeably more animated and completely focused on her daughter. It soon became routine for Niki to walk through the front door and say “Hi mommy!” when she saw the fly. But Emma’s visit was fleeting. After a few weeks, I saw no more sightings of the fly and it became clear that she was gone. I eased my withdrawal by telling myself that Emma had other family members to check in on, but that she would visit again. Looking back, it may have been reincarnation. Or maybe Emma gave me just what I needed until, as Sharon the reiki master had put it, I was able to accept her death.